Hey friends! Hope you are all well! How is the summer starting off for everyone? Storms and more storms, and more heat and humidity here than ever. Joy, pure and utter joy. NOT! In the summer we do lot of sandwiches and salads. Some days it is just to hot to cook a big dinner, nobody wants to heat up their house more than necessary when it is hot outside. Am I right or am I right?!?! I have been on a grilled cheese kick. Experimenting with different things I like and other ingredients. A margherita pizza any day, anytime, anywhere makes me happy. I decided to just work those ingredients into my grilled cheese. They were so good, I decided to share. it. No big secret or back story, (for once, huh? HAHA) Just a great, quick, sandwich that will fill your tummy and it might make you moan a little when you eat it. I won't say if it does that to me, but, I know a few people who it might affect that way! Be ready to see a few of my grilled cheese experiments. 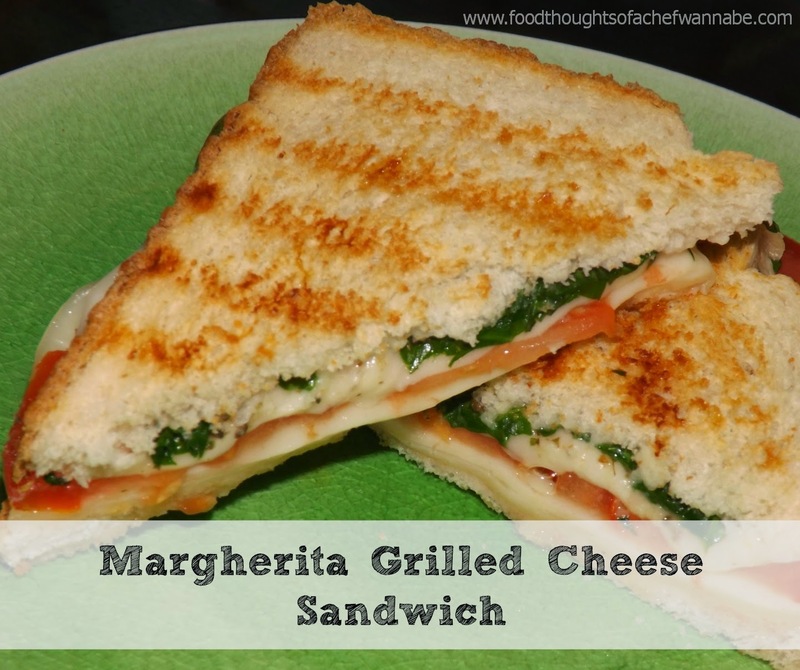 Here are a couple you might enjoy that are already posts, French Onion Panino, or my Cheese Frenchee! We have been trying to have a meatless night or two a week and these cheesy treasures make it much easier!! I prefer my grilled cheese on plain old white, doughy (not so great for you) bread. You choose your own favorite! This will make 4 sandwiches! I know, you know how this goes. I butter my pan instead of the bread. Layer cheese, tomato and basil. Use a slice of bread, slice of cheese, then tomato, then basil, last slice of cheese and bread. This makes the cheese act like a glue, and oh LAWDY, my mouth is watering. Sadly, I am not joking. Place in the pan, and cook slow! That is the secret when you have multiple ingredients. Let that cheesy goodness melt slowly and the bread brown perfectly and errrr meeh gerrrd! I do like to add a little pinch of salt to the top of my tomato! Enjoy this simple supper or lunch! Yum! These look delicious! I will give these a try soon.